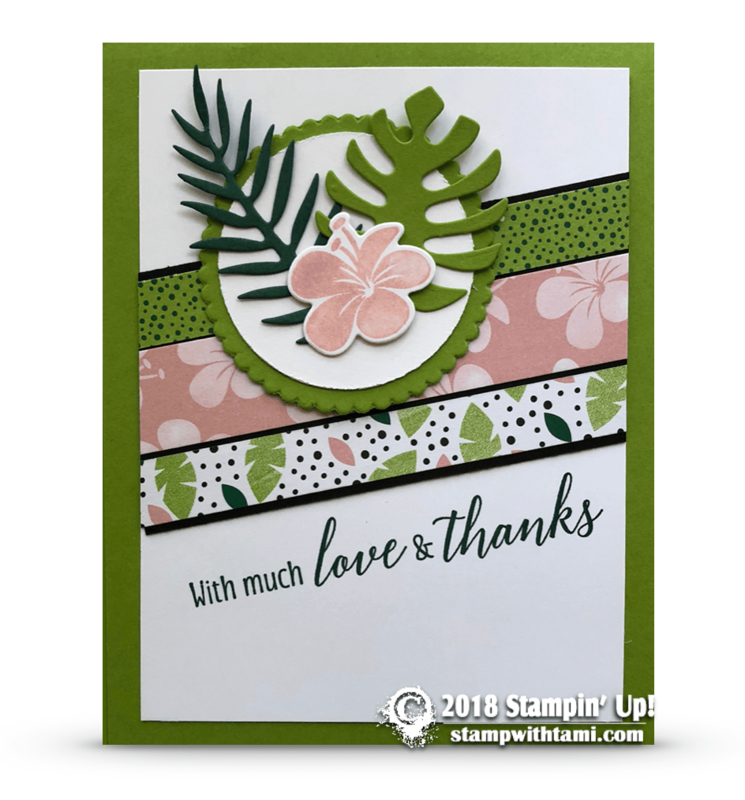 “With much love & thanks” card from the Stampin Up Tropical Chic stamp set and coordinating Tropical dies. A touch of Tropical Escape designer paper on the background pull it all together. I love this set. such a pretty card!! !